When cooking we sometimes make the mistake of over-salting our meals but this does not mean that the food is ruined, there are still ways to fix an over-salted meal. 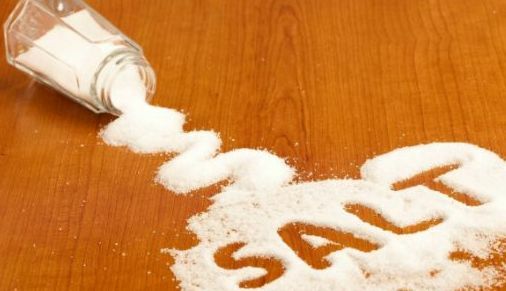 Jumia Food shares 4 useful hacks to fix food that’s too salty. When making foods that can be diluted like rice or when making soups, stews or sauces, you can add some extra water, stock, tomato sauce or juice to give the salt more volume which helps to spread it out and make the overall dish less salty. Just be sure to add a fair amount and not over do it, so you don’t lose the flavour of the food. To fix over-salted meat, you can rinse them under running water and pat dry with a clean kitchen towel when you’re done. If the salt is overly excessive (pardon the tautology), then you can ‘leach’ the salt out by soaking the meat in water for like an hour or two. If you have enough ingredients then you can add more to the meal by doubling the recipe or making more by half. You can mix this into the salty meal a bit at a time until you’ve reached your desired flavour. Acidic substances like lemon juice or vinegar help to mask aggressive saltiness with a new flavour. It helps greatly when added to salty potato or fish dishes. When using vinegar to reduce saltiness, be sure to opt for mild vinegar like white wine vinegar so the effect on the meal with not be adversely profound.